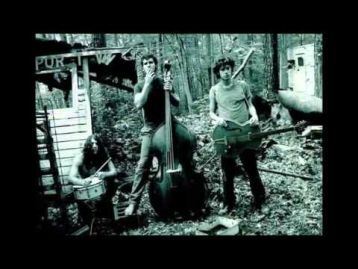 Rockabilly has managed to never become civilized since the style first began to carve its name into songs with slice and slash chords over a pummeling beat. As Pop music became safer Rockabilly kept to the edges. 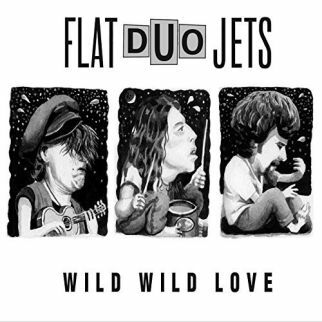 Wild, Wild Love, the recent reissue from Flat Duo Jets, captures the intensity of Rockabilly, the double-disc set including the band’s 1990 self-titled debut, a cassette only E.P. (In Stereo), and outtakes from their late 1980’s/early 1990’s recording sessions. Producer Mark Bingham recalled the environment the trio found when they entered the studio, remembering that they had ‘no overdubs, no nothin’, just straight to tape like it was 1957, so we had to do it right the first time. It was very seat-of-the-pants, which seemed fine with what the Jets were doing’. The guitar work of Dex Romweber is the soundtrack of an alien landscape as he playfully scatters riffs and runs over the non-stop beats provided by drummer Chris ‘Crow’ Smith. The pair formed Flat Duo Jets in 1984 while still teenagers, finding common causes in the haunted Rockabilly of The Cramps and vintage drive-in horror movies. From their beginnings in Chapel Hill, North Carolina, Flat Duo Jets became a home for otherworldy howls, feral rhythms, and soul-scarring guitars. Wild, Wild Love borrows its title from “Wild, Wild Lover”, a track on the Flat Duo Jets debut that finds its message scrawled on a tangle of guitar strings and drumsticks. The heart opens the album as Flat Duo Jets tenderly shake out a love song with “My Life, My Love” as Disc 1 sends fanmail to Gene Vincent (“Tribute to Gene”), cruises on dark rivers of rhythm (“Madagascar”), samples its on brand of ‘Tequilla’ (“Chaquita”), watches hopes walk past (“When My Baby Passes By”), and lazily vibrates with unspoken wishes (“Dreams Don’t Cost a Thing”). Disc 2 swings its doors open with Bluesy piano rolls and brushed drumbeats for “Bring It on Home” as Flat Duo Jets take on covers with “Rock Me Baby”, “Bumble Bee Boogie”, “Sleepwalk”, and “Harlem Nocturne”.